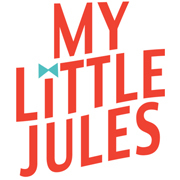 Livie & Luca shoes and Joyfolie shoes are now on sale at My Little Jules children's clothing boutique! Get the cutest styles for little feet at up to 35% off. They are flying off the shelves, so hurry before they are all gone. In a world of faceless conglomerates, Joyfolie shoes is a small company offering unique and one-of-a-kind items. Joyfolie shoes is a play on words: it is pronounced like the common word "joyfully" but "folie" is the french words for frenzy/madness because children are a joyful frenzy (at least ours are!). 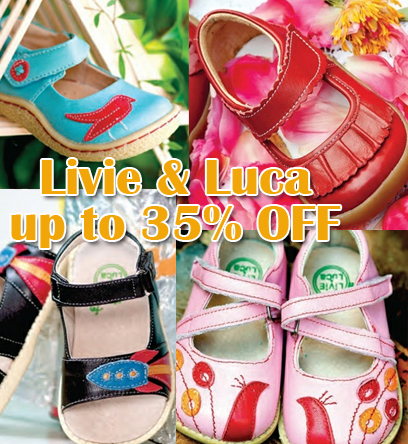 If Livie & Luca shoes could whisper in your ear it would say …Spread Joy! They would tell of its journey from a sweet bubble of an idea to a final inspired design. You would hear of their crafting in the hands of artisans where beautiful materials are combined with touches of whimsy and joy to create earth-friendly shoes like no other.